A new book club launches on Feb. 8 and it will be unlike any other book club in the Cayman Islands. The Lustic Life Book Club invites readers to “think outside the book” in a way that inspires personal growth when reviewing the chosen selections each month. 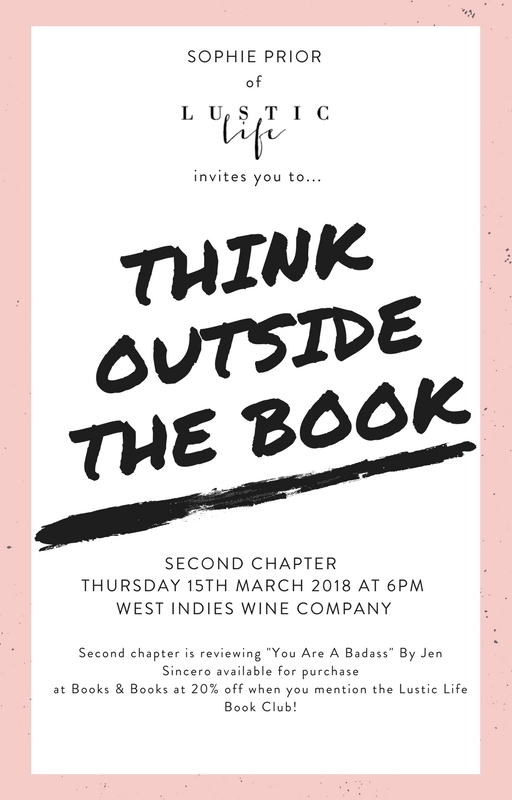 Organiser Sophie Prior says the idea for the new book club came as a result of the significant interest in her Luxe + Well wellness retreat that is done in partnership with Nadine Dumas. Sophie says reading a good book can be very motivating. The reading list for the Lustic Life Book Club will be diverse and include selections that deal with subjects ranging from mindset, personal growth guides and wellness habits to business and finance knowledge. The book club will meet the second Thursday of every month between 6 p.m. and 7:30 p.m. at West Indies Wine Company. The meetings are free, although they don’t include wine for those who wish to enjoy a glass or two while discussing the books. People must register in advance by emailing Sophie at sophie@lusticlife.com. The first meeting is at capacity, but registration for future meetings is now open. The book “You are a Badass” by Jen Sincero will be discussed on March 8 and “The One Thing” by Gary Keller on April 12. Books & Books will offer a 20 per cent discount on the Lustic Life Book Club selections in advance of the meetings. Store manager Terry Cleaver says he’s delighted to support the new book club. To find our more about the upcoming Lustic Life Book Club chapters, please click here.